Offer your patrons a tasteful dish to complement your many culinary delights. 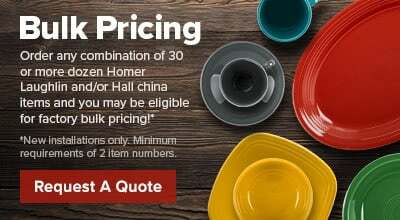 The Hall China 5220AWHA 14 oz. 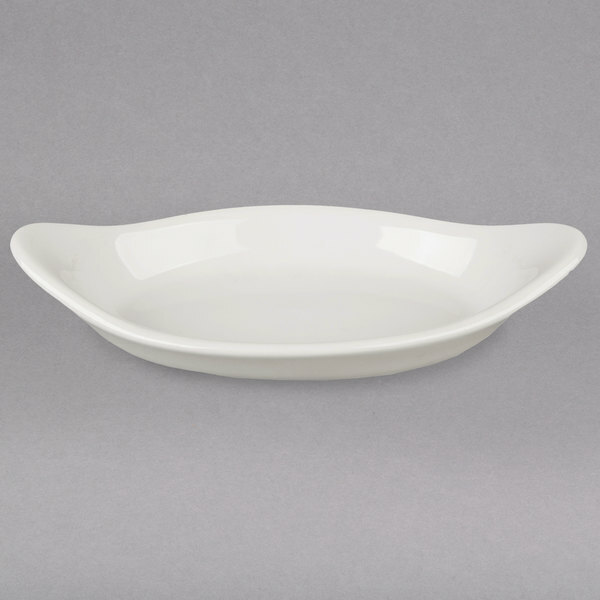 american white (Ivory/Eggshell) oval rarebit / au gratin dish is great for serving all au gratin recipes, broiled fish, crab cakes, and more. The high quality material and finish ensures a long, reliable life of serving and impressing hungry customers.